To Scape The Serpent's Tongue: Gall Bladder: What Did They Do? Gall Bladder: What Did They Do? 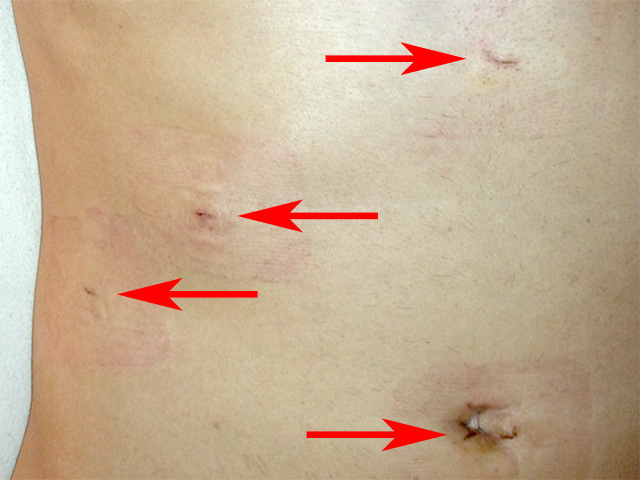 In open cholecystectomy the gallbladder is removed through one large incision in your abdomen. This technique is called open surgery. It is a more invasive operation than keyhole surgery. You need to be in hospital for longer and it takes longer to recover. Open surgery is now usually only used if there are medical reasons why laparoscopic cholecystectomy cannot be safely performed, or if the surgeon decides that it would be safer to switch to open surgery during the procedure (this is known as conversion). Here's another diagram, showing what they had to do. Still, the end result is the same - freedom from that abdominal pain, and renewed vigour and joie de vivre, after what had felt like a lingering shadow looming over me for nearly a year.